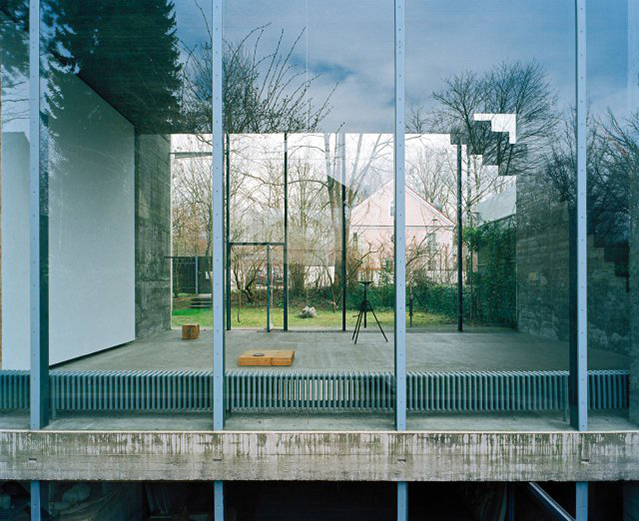 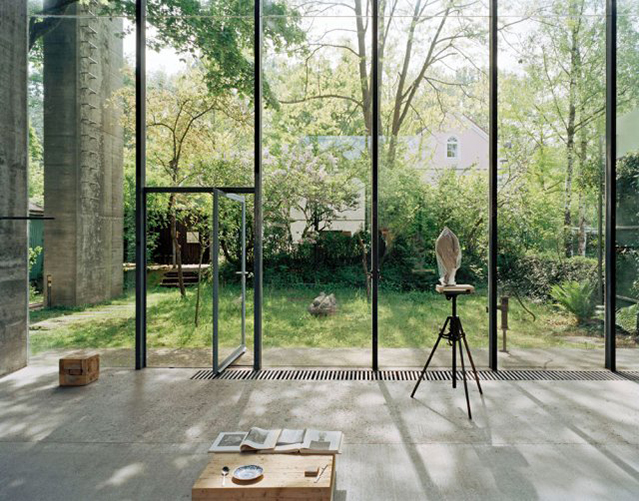 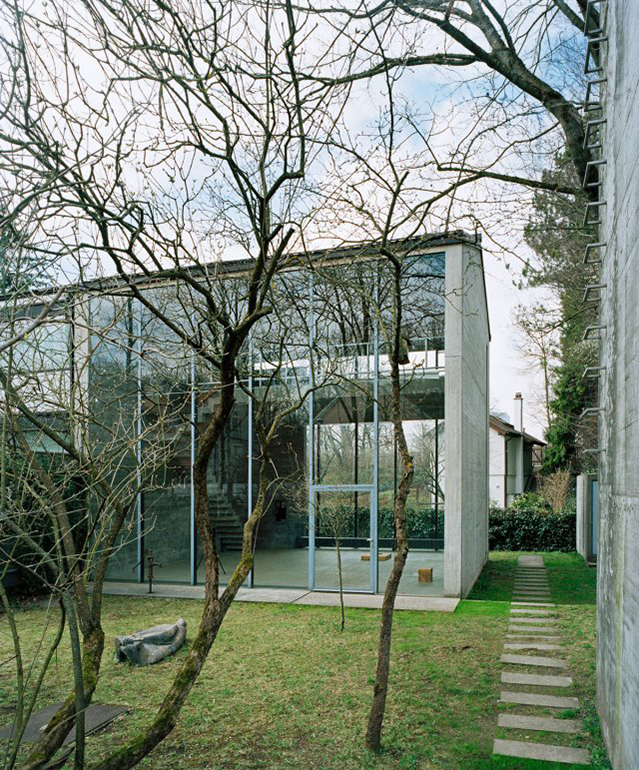 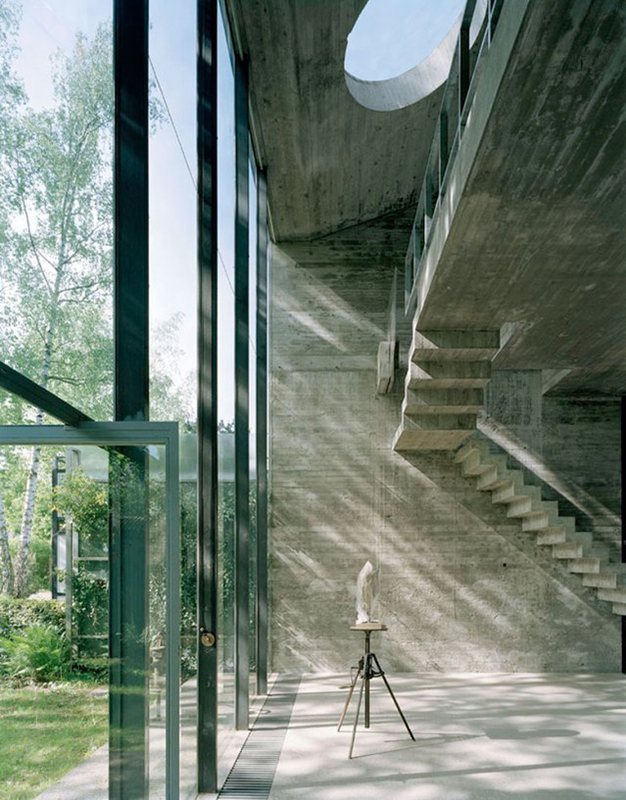 This breathtaking atelier of the German sculptor Hermann Rosa, located in Munich, was fully designed by the owner himself. 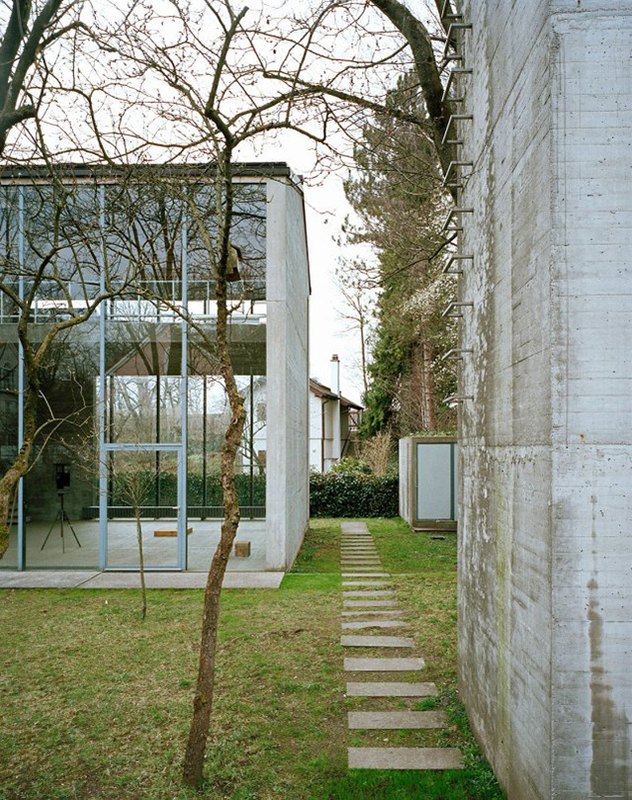 Concrete and glass, greenery trying to enter the space, clean minimalistic interior - this place is a tabula rasa for creative mind. 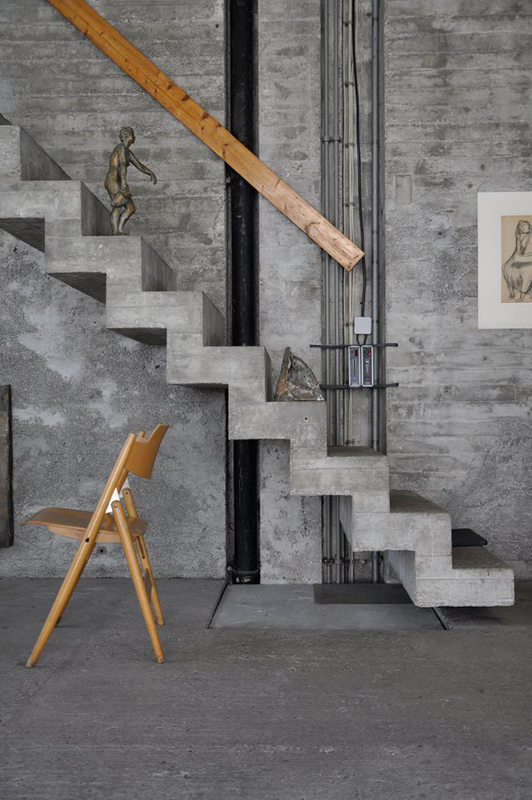 Raw materials and austere colours make the atelier sculptural itself - stairs and pipes create amazing shapes and divide the space. 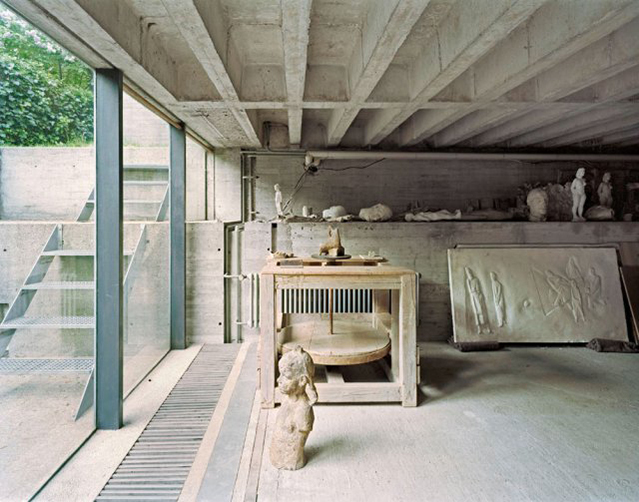 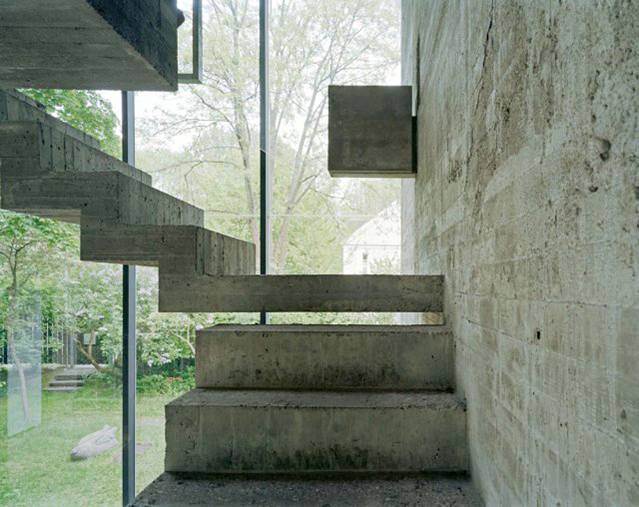 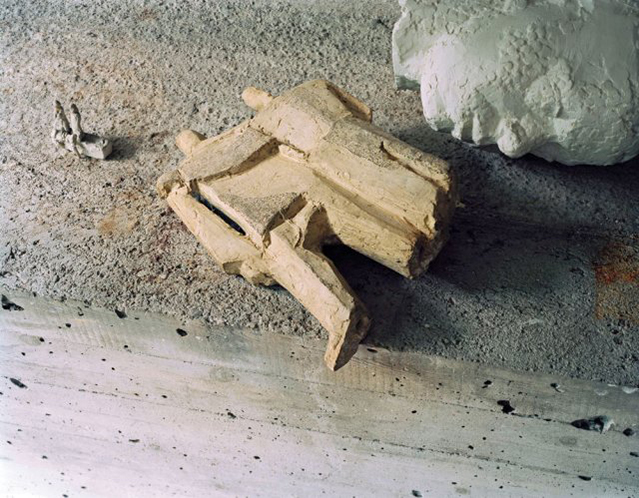 Grey concrete with steel is the perfect canvas for the artwork of Hermann Rosa. 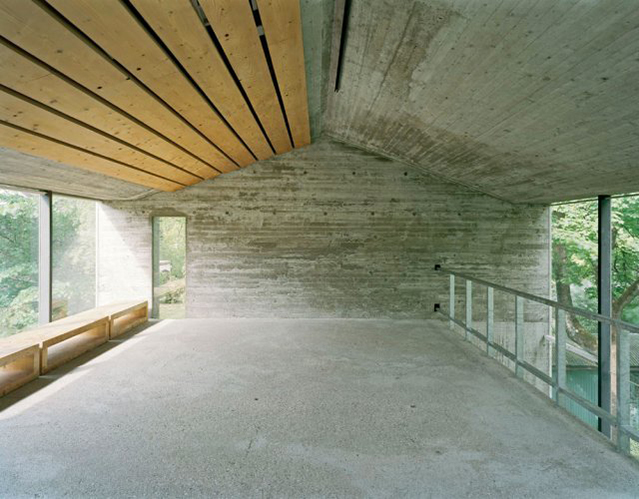 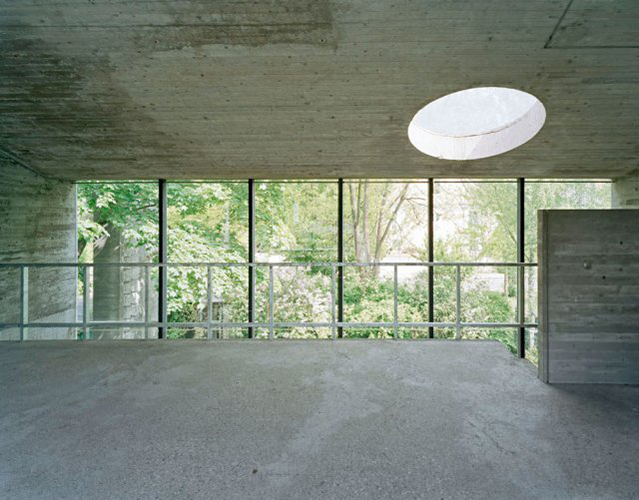 The building merges with nature, and nature comes in by the round skylight. 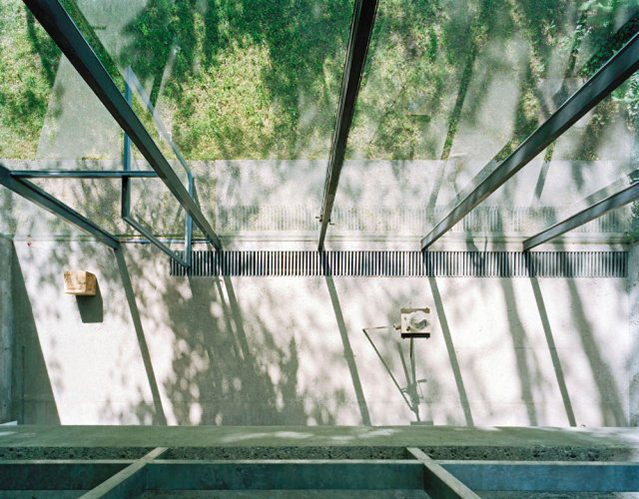 Unique place designed by unique mind.